I love me some goooood banana bread! However, nutritionally I hate that banana bread is essentially “cake” since it’s made with oil and sugar (which again, is why it tastes so darn good!). 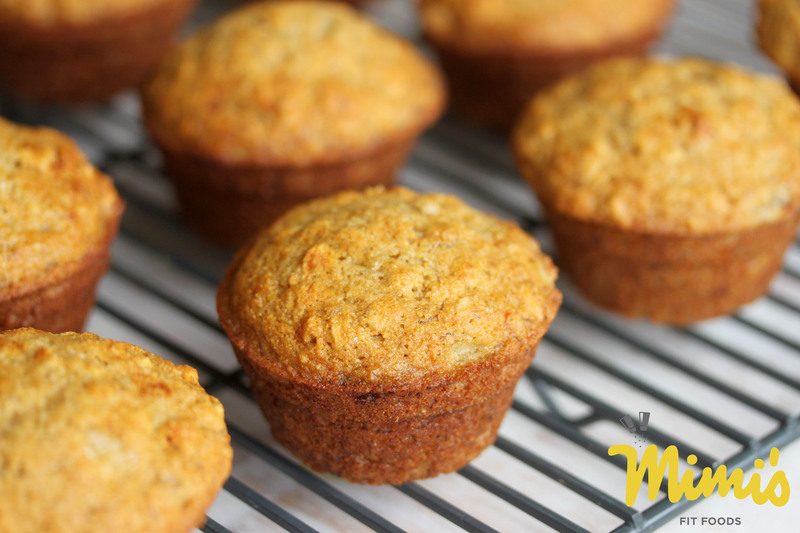 I had a couple of bananas that had spotted and gone more ripe than we care to eat, so I went on a major search to find me a tasty AND healthy banana muffin. With a few adaptations, I definitely came up with a winner! I mean, looking at this picture at this very moment has me salivating. 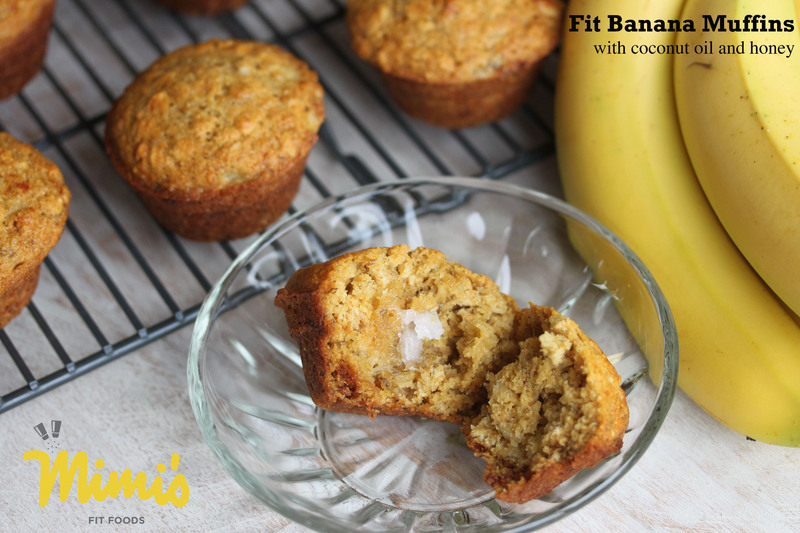 These muffins are made with coconut oil (instead of butter or vegetable oil) and are sweetened with honey (as well as the natural sweetener you get from the bananas). There’s something about that coconut oil that adds an extra subtle sweetness as well. Of course, I didn’t have a “typical” banana muffin sitting right here to compare with, but I don’t think I would even hesitate to choose this muffin over the other. They are SOOOOO good. The oatmeal helps boost the texture, and they are super moist. The only regret I have is that I didn’t double (or triple) the recipe. I totally could have frozen the extra muffins and had them available at the drop of a hat. Next time . . . next time! Preheat oven to 400 degrees. Stir together oats, flour, baking powder, baking soda, and salt. Mix egg, milk, oil, honey and mashed banana together well. Add this mixture to the dry ingredients. Gently stir until moistened. Fill greased muffin pans 2/3 full (evenly dividing batter amongst 12 muffins). Bake for 12-15 minutes, or until golden brown. Thank you Mimi for this recepie! I used glutenfree flour, buckweat and riceflour, and it worked out nicely. We just made these muffins and they are so good! We did add some chocolate chips but other then that I followed the recipe exactly! The kids are already asking for seconds!! This is a keeper….thanks! So glad you loved them! These are a favorite at our house too! I made these with my 5 year old. We had to sub maple syrup for half the honey because we ran out. They are delicious! So glad you loved them! Thanks for letting me know!